(October 19, 2011) China’s independent filmmakers are saying things their government won’t. Here, He Zhengjun and Gao Luli introduce some of the best environmental documentaries to come out of China in recent years. Independent documentary film plays a particularly critical role in a country lacking freedom of speech. Because the Chinese government is hiding the damage done to China’s environment by two decades of economic growth, citizens are taking up the job using film to expose the trade-offs between the environment and the economy, and the effect this is having on Chinese citizens and society at large. Two of China’s rising environmental documentary producers, Gao Luli and He Zhengjun, hail from the famed Beijing-based environmental English language programme (EET). 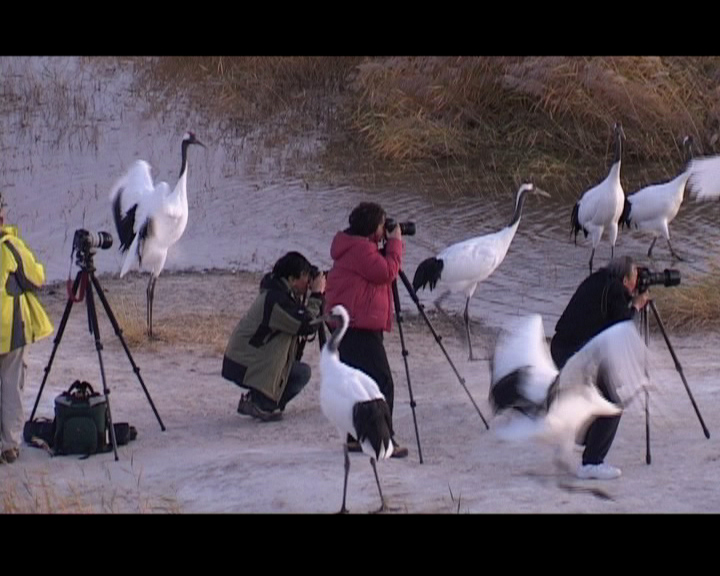 In 2010, with co-producer Mingming, Gao released Dream On The Wall: a charming film about schoolchildren’s efforts to conserve a crane habitat near their hometown of Xianghai, Jilin Province. Dream on the Wall went on to win the best short film award at the 2010 Hong Kong Chinese Documentary Film Festival. He Zhengjun’s documentary, No Country For Private Houses, investigates the phenomenon of home appropriations and demolitions across China. First screened at the Beijing Independent Film Festival on October 16, No Country, has been entered into the iSun TV Chinese Documentary Award nominees list. Following are some of the best examples of this emerging genre of environmental documentaries from China’s rising stars. Don’t miss Before the Flood, Up the Yangtze, Bing Ai, and Don’t Cry Three Gorges. Together, these films meticulously depict how the construction of the Three Gorges Dam, China’s largest water control project, has damaged the ecology of the Yangtze and affected people’s lives: viewers can’t help but share in the sense of helplessness felt by the dam-affected people as they struggle to survive and as they watch their river ecology decline. The largest crane migration route in the world, with the world’s greatest biodiversity of cranes, stretches across east China. But sadly, the wetland environment along this lifeline is deteriorating, due to drought, over-grazing and water diversion projects. Xianghai Town is located on the lifeline. To awaken local residents’ awareness of environmental issues and love for their home, the teachers and students at Xianghai School decided to paint a mural along one of the town’s streets. But first, the children carried out investigations in town, visiting and interviewing residents, shopkeepers, restaurant owners, and government officials, who all give different responses to their questions: why are the cranes disappearing? Is it connected to the way we live? When the children visit the local government with their questions, full of hope, they receive nothing but disappointment. Still, their teachers encourage them to paint the mural using their experiences and feelings from the investigation. We decided to make this film in order to show how a wetland environment program run by a nongovernmental environmental protection organization, called “The Migratory Cranes” could affect environmental education, influence teachers and students, and also touch the audience. While filming, we learned that the Xianghai School art teacher, Shi Yanqiu, had plans for the children to complete an “art wall,” so we decided to follow their project. In fact we had no idea what to expect. With time, we became close with the children and they, in turn, treated us as elder sisters. In the process of our shooting and contact with these children, we were moved by their pure and beautiful hearts. Mingming (Huang Changlan), from the Gelao minority (仡佬族), had worked in architectural design in Guizhou, and as a veterinarian. When she moved to Beijing in 2001, she did late-stage editing and became an assistant television director. In 2004, Mingming began directing her own documentary films. Her creations include Gangxiang, The Children At The Foot Of The Great Wall, 50 Minutes Of Women, We Want To Get Married, Dream On The Wall, and Sweet Desert (currently in production). Cranes in their habitat near Xianghai Town. Her films have appeared in many film festivals including the New York University Film Festival, the China Documentary Film Festival, the Asian Women Film Festival (Berlin), the Berkeley Art Museum, the Hong Kong Chinese Documentary Film Festival, and the Beijing Queer Film Festival. Gao Luli earned her BA in Journalism from Nanjing Normal University in 1994. After graduating, she worked for Modern Economy, Jiangsu TV, CCTV, and the Civic Magazine. Altogether, she has worked as a TV producer and director for 12 years. Gao loves nature and has a deep understanding of environmental issues. It is possible that forced demolition is a uniquely Chinese phenomenon. [i] Politically mandated GDP growth targets spur local governments to sell land wherever they can to increase revenues and drive investment. But virtually all urban land that the government seizes to sell belongs, in law, to Chinese citizens. This leads to violent clashes with homeowners. The most acute disputes involve the demolition of jingzufang – privately owned homes which were requisitioned for government use before the Cultural Revolution. The title to these homes has always remained with the homeowners, but the houses are directly managed and rented out by the government. The owners receive from 20-40% of the rental fees collected by the government. During the Cultural Revolution, homeowners suffered unprecedented persecution. Their houses were forcibly occupied by the Red Guards, some were even killed. Most of those private homeowners were unable to reclaim their houses before the large-scale demolitions began in the 1980s. Then, the Tenth Article in China’s 1982 Constitution came into effect and stipulated for the first time that urban land is state property. [ii] This gave local governments even more latitude to demolish homes and sell land. No phenomenon exists without a context. Behind the ubiquity of these tragic demolitions must lie some institutional reasons. When we see one building after another collapse, despite the cries and wails of the homeowners, we cannot help wondering why we, a people known to value living and working in peace above all else, cannot protect our own homes from being demolished. Contemplation on these practical problems inevitably leads us to the past: history makes things the way they are now. So the film shows the audience what has happened to home ownership rights in China over the past sixty years. History tells us that the widespread phenomenon of the violation of people’s property rights today is not a random occurrence. As long as political power overrules the law, the infringement of citizens’ rights will be inevitable. And if this situation remains unchanged, more private property will be breached: perhaps everyone’s home will be demolished. 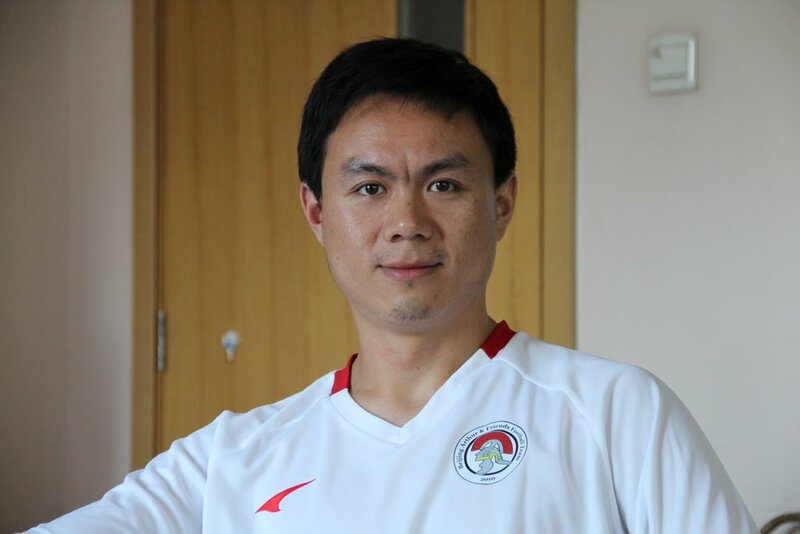 He Liren (He Zhengjun) works for the Beijing-based NGO, Transition Institute. The Institute is an independent think-tank that investigates and researches the social transition of China today. This is He’s first documentary. 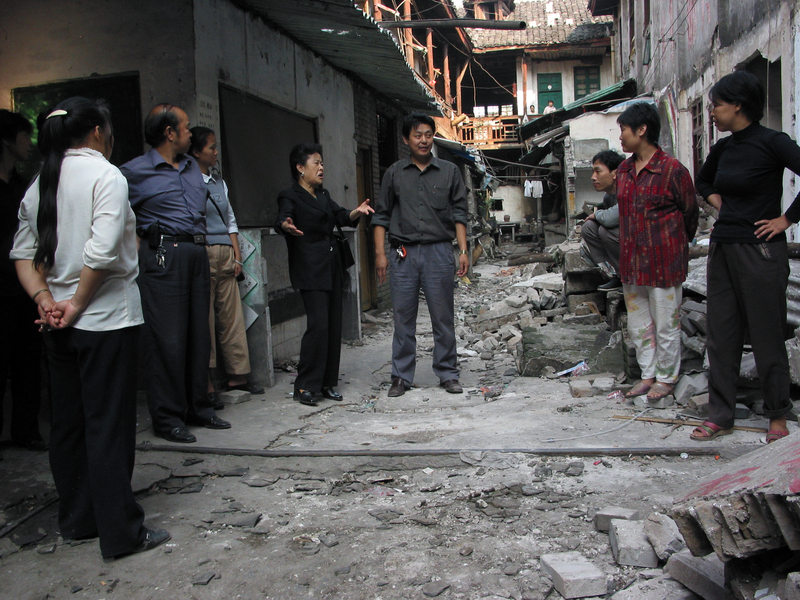 He began surveying and collecting information on the historical context of China’s private real estate rights in late 2007. He traveled to Beijing, Nanjing, Hangzhou, and Changsha to do interviews and shoot footage, and finished filming at the end of 2010. The film editing work was completed in July 2011. The Three Gorges Dam, the world’s largest hydropower station, has turned the Three Gorges region into the world’s biggest reservoir. When the reservoir was filled, from 2003 to 2009, it submerged dozens of cities, towns, villages, ancient cultural relics and natural scenic spots. Among the affected was Fengjie, home to the greatest ancient Chinese poet, Li Bai. To avoid causing problems during the first stage of inundation, Fengjie was ordered to relocate. Before The Flood faithfully records the entire process of the relocation of Fengjie in 2002, a year before the water level began to rise. In the documentary, the audience can sense the helplessness of the owner of a cheap inn for coolies, who served as a Volunteer Soldier during the Korean war, and who is now going to be deprived of his livelihood. They can feel the pain of the staff of a Christian church whose religious convictions are shaken when confronted with the special interest group who will benefit from the church’s relocation. They become witnesses to the unavoidable conflicts between the relocation officials and the city’s poor dam evacuees who suffer in silence. Before The Flood won first prize in the International Documentary Film Festival, Munich, Germany in May 2005, and the grand prize in the International Documentary Film Festival, Yamagata, Japan in October 2005. On the other hand, Western visitors to the area are led to a beautiful two-story building – a prototype for the huge Three Gorges resettlement – and are suitably impressed by the rapid development of the Chinese economy and the happy lives of Chinese peasants. Eventually, before the rising water drowns their home, the family gets a new house just big enough to hold them. Their patch of land, though, is gone forever. Zhang Bing’ai is a common peasant woman living in the Three Gorges reservoir region. Over 20 years ago, her parents arranged for Bing Ai, who was originally from the mountains, to marry a man living along the relatively prosperous riverside. Later, her husband’s illness forces her to support the whole family on her own. Although life is tough, Bing Ai is still very optimistic about the future: her son is the only student in the village who is admitted to a top senior high school in the county. Zhang Bing’ai’s family becomes the one most opposed to the Three Gorges resettlement plan. Although officials had promised that her family would be resettled nearby, six years later they still haven’t been allocated their land. Now, with the dam nearly complete and the second batch of families all resettled, Bing Ai continues to languish, waiting for a replacement home as her old her house stands alone in the rubble. Eventually, she is forced to live in a tent and to petition officials in her bare feet because her shoes have been washed away by the rain. In between dealing with officials and toiling on the land, Bing Ai seeks the chance to tell her sorrows to the camera. Heavy Metal took Jin Huaqing three years to produce. It focuses on Fengjiang – a small town in East China which is the destination of scrap metal from developed countries like Japan, America, and Australia. Since the 1980s, 50,000 migrant workers from poverty-stricken regions in mid-west China have formed a disassembly “army,” using the most primitive methods to disassemble nearly two million tons of scrap metal every year. This documentary traces the story of disassembly workers Lao Zhang and Qiuxia, revealing their arduous and dangerous work and the misfortunes that have befallen them. Triggered by widespread doubts and questions after the May 12 earthquake in Wenchuan, Buried revisits the Tangshan earthquake which occurred decades earlier. Guided by the idea that documentaries should be closely related to present conditions, director Wang Libo has tried to discover exactly what happened on July 27th, 1976 – the day the people of Tangshan will never forget, when hundreds of thousands died and hundreds of thousands more lives were changed forever. The officials, experts, and relief workers who worked on the Tangshan earthquake’s aftermath will never forget it either, whatever they did on that day. Buried tries to reveal the buried history of the Tangshan earthquake in a thorough, objective, and profound way. But the truth will never be buried, whether we admit it or not. Branches, bushes, straw and trash littered the Zuxi River – a tributary on the upper reaches of the Yangtze. This was the scene after the filling of the Three Gorges reservoir, which led, as Mao Zedong put it in a famous poem, to “a grand lake emerges in the Three Georges.” All this debris would eventually end up at the reservoir. But the cost of hiring boats, vehicles and workers gets too high. Under this economic pressure, the team reduces its members from over 100 to four or five. 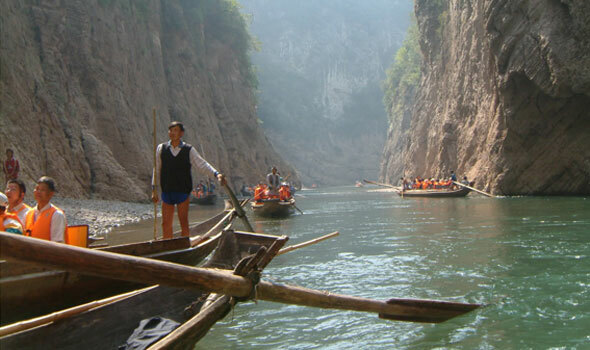 In order to protect their homeland and especially the river from being polluted, Liu’s wife is determined to step onto the boat to work alongside her husband; and their 14-year-old son follows suit in the hope that the beautiful scenery in their hometown will remain more than a memory. [i] According to the Constitution, land in the countryside belongs to the collective, and so is classified as “Collective ownership.” There was no definition of urban land ownership in law until the Review of the Constitution in 1982, which declared that urban land belonged to the nation, and so was classified as “State ownership”. [ii] The widespread practice of forced home demolition to make room for development projects. Forced demolition, or qiang chai (强拆), and its social fallout has been one of the most pernicious issues to haunt China over the past decade, as local government leaders across the country have wantonly seized land and destroyed property in a race to fuel local economic development, and to personally enrich themselves. See the China Media Project. [iii] Jingzufang ownership is protected by law, according to the latest Property Law, released in December 2008. Nevertheless, the Chinese government’s policies do not recognize or protect jingzufang rights, thereby violating the Constitution and Land Management Law and regulations, and hurting jingzufang owners’ interests. Owners are petitioning and complaining – so far, in vain.